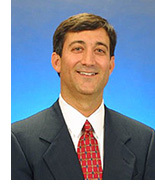 Mr. Venezia co-founded HealthCare Capital Advisors after 13 years on Wall Street. His experience in healthcare investment banking and equity research at Raymond James & Associate, one of the nation’s largest investment banking firms, positioned him to launch HealthCare Capital Advisors in 2000. Harry manages the investment banking services for HCCA’s clients, directly working with more than 800 institutional healthcare investment firms throughout the United States, Europe, and Asia. He also consults with clients to develop proper positioning prior to entering the capital markets. He is Series 7 and Series 79 licensed and has been designated a two-time Wall Street Journal “All-Star Analyst”. Harry earned an A.B. in Economics and Biology at Duke University. After being accepted to the Duke University Medical School in 1984, he decided to focus his career in healthcare financial services. Harry holds an MBA from the Fuqua School of Business at Duke University. His colleagues at the Duke Tampa Bay Club will attest he truly bleeds Duke Blue. Harry is an active alumni volunteer. In 2013, he was honored with the national Forever Duke Award recognizing his volunteer leadership with the Duke Alumni Association. Harry also volunteers in leadership and mentor roles for the Tampa Bay Technology Incubator, the University of South Florida Research Foundation, the Tampa Bay Innovation Center, and the Tampa Bay Technology Forum. 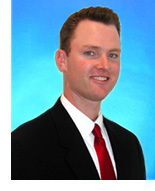 Mr. Davidson joined HealthCare Capital Advisors in August 2001. He specializes in the placement of equity to the venture capital community, hedge funds, and private equity funds, and structuring strategic partnerships for HealthCare Capital Advisors’ investment-banking clients. Prior to joining the company, Scott served as a lead consultant with Allen & Company, a professional management-consulting firm serving clients throughout the United States. Prior to Allen & Company, Scott was a Research Associate in First Albany Corporation’s Equity Research Department in New York covering a wide range of companies. Scott holds a Bachelor of Arts in Economics from Harvard University. He earned the Chartered Financial Analyst (CFA) designation and is Series 7 and 79 licensed.